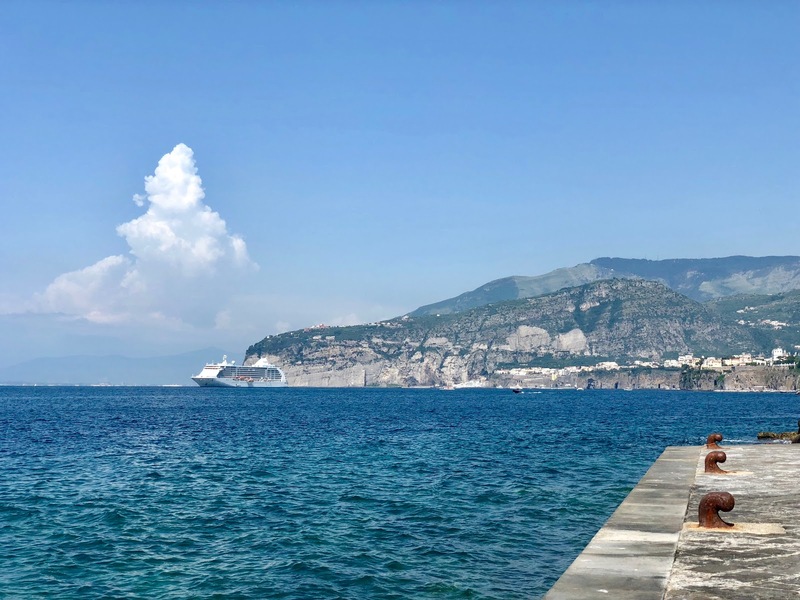 After an amazing day in Pompei the day before, we moved further down to Sorrento – the gateway to the Amalfi Coast. Before we get into what was an incredible day, a quick note on getting there. As mentioned in our previous post, the train services from Naples are frequent but far from luxurious. Unfortunately the Circumvesuviana train seats make it look more like an old and abandoned primary school classroom, however it is cheap and the destination made it more than worth it. With all of our main stops on our Italian trip being large cities, a beach day wouldn’t be possible following only the second day into a two week holiday. 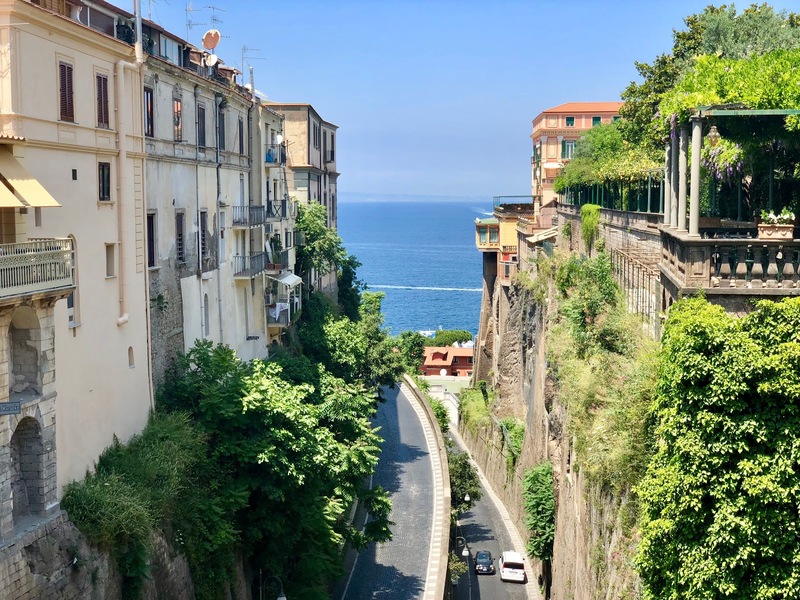 Sorrento was not only our chance to soak in rays, but also soak in the culture, beautiful architecture and fully escape from the bustling city life. 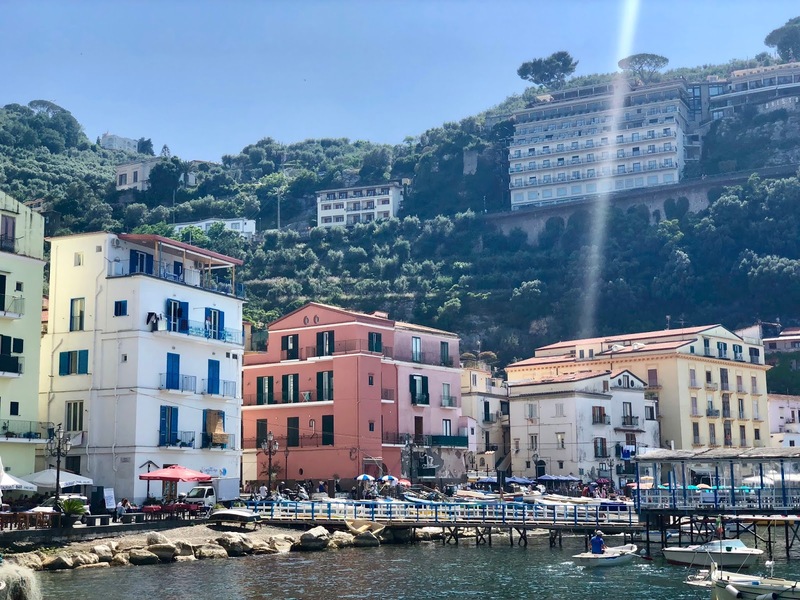 However before we oddly got lost finding our way to the harbour and seafront, we stopped for some mouthwatering pasta and found ourselves wandering the narrow shopping streets. 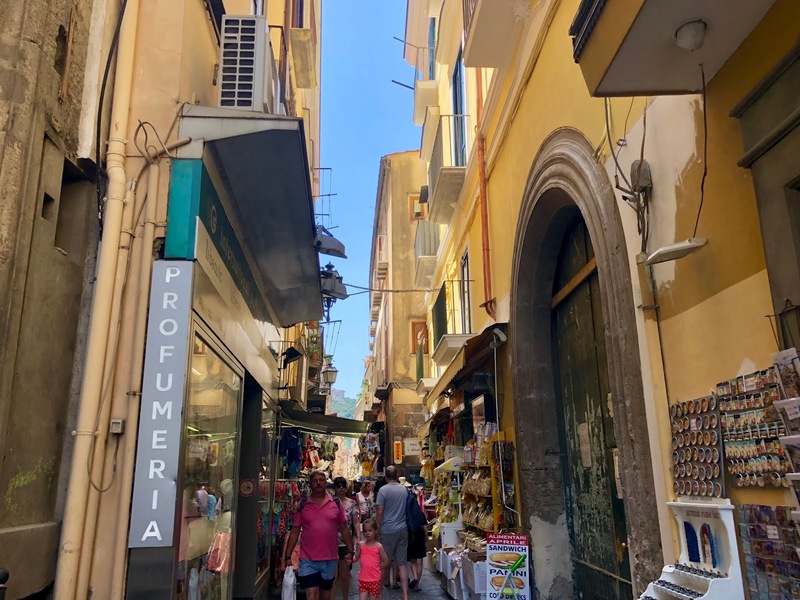 Like The Shambles in York but with extra sun, Sorrento town centre is awash with charming shops, restaurants and lemons which so elegantly avoid the tourist trap vibes and huge crowds. Sorrento lemons are a staple in Italian cooking so it even manages to smell good – we couldn’t leave without a small bottle of Limoncello to remember our time here. After walking a long way downhill to reach the front, it was time to relax. Only a small part of it is actually a beach but we snapped up a spot and simply spent time swimming out and looking around in awe at our surroundings. 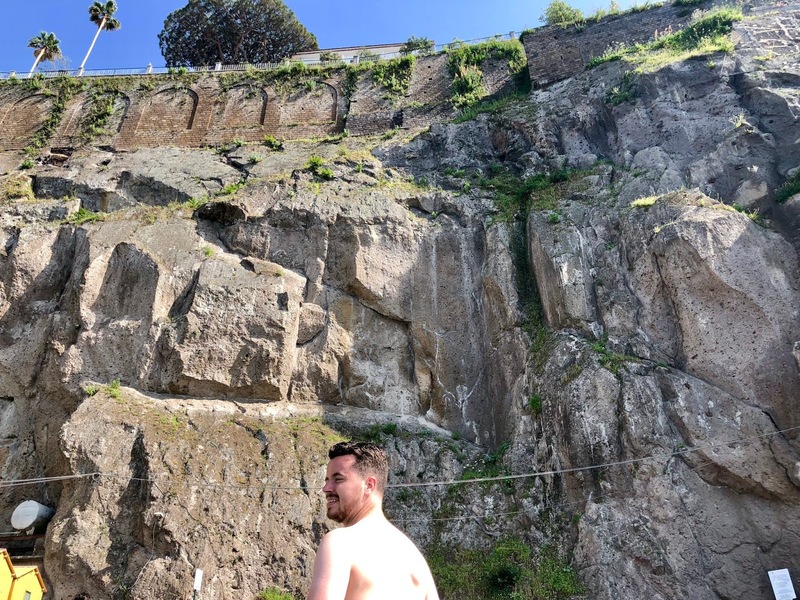 Sorrento was indeed much smaller than we thought, but with it just being one small part of the glorious Amalfi Coast, it only confirmed that maybe that deserves a holiday all of its own at some point in the future. Whilst time ran out to take the short boat ride to Capri, it was a beautiful day which lived up to massive expectations. Sorrento was sublime, sophisticated and sunny and we’d definitely like to return and spend longer here. We would’ve loved to take boat rides to numerous islands and perhaps a spot of kayaking, which looked like amazing fun. After spending two nights in Naples, it was finally time to see the city. Check back for our next post from the home of pizza.